A gunman killed 12 people at a country music bar in Thousand Oaks late Wednesday. I updated the animation I created following last year's Las Vegas massacre to include subsequent mass shootings with 10 or more victims. 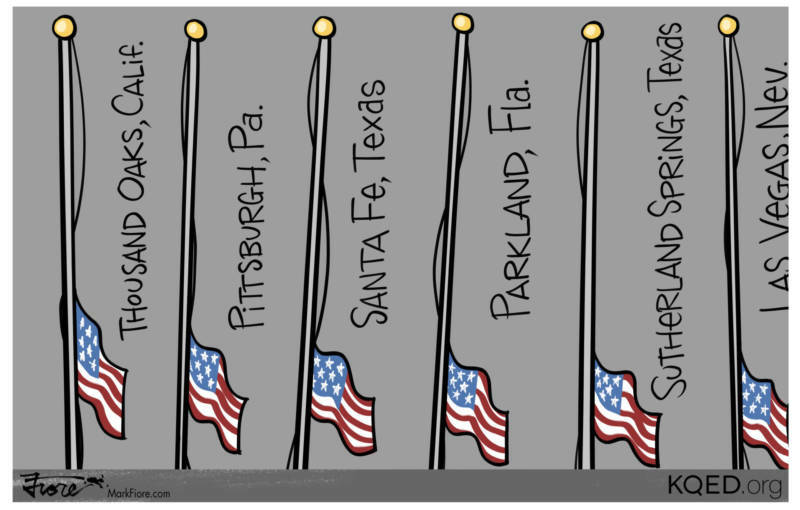 This cartoon represents only a fraction of the total number of mass shootings in the United States. According to the Gun Violence Archive, Wednesday's shooting in Thousand Oaks marks the 307th mass shooting of 2018.